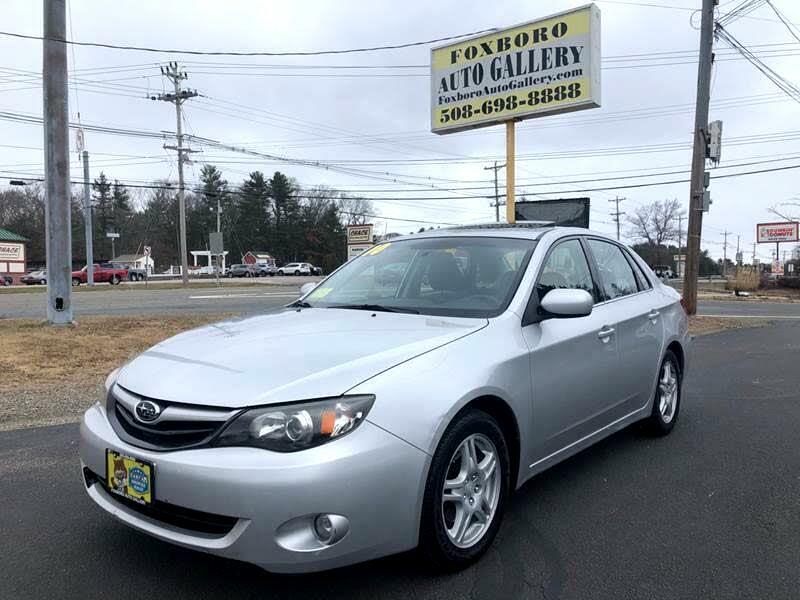 Visit Foxboro Auto Gallery online at foxboroautosale.net to see more pictures of this vehicle or call us at 508-698-8888 today to schedule your test drive. We run a Carfax report on every vehicle we purchase so we can provide the best vehicles available and will give our customers some sort of history of the vehicle they plan on purchasing. We do not buy anything that has serious issues. All clean titles. We also provide you with a 90 day or 3000 mile warranty on most vehicles. We are here to give you the friendliest and best buying experience you'll have purchasing a vehicle as well as serving your purchase after the sale. We also take vehicles in trade as well as outright buying your vehicle even if you don't buy ours. If you want honesty and no Hassall this is the place for you. Message: Thought you might be interested in this 2010 Subaru Impreza.